Campbell Glenn is tuned in to people. When starting a new project, she finds out what makes each person tick, uses that to help them uncover and tap into their strengths, then watches them soar. Teams feed off her energy and appreciate her ability to leverage group dynamics for the better. Campbell’s commitment to people has also shaped her career. She was one of the founding employees at former President Barack Obama’s My Brother's Keeper Alliance, where she served as the nonprofit’s director of communications and public engagement. As director of education and fellowship for America Works of New York, she led a team of two dozen trainers who helped people receiving public assistance develop soft skills and find career pathways. 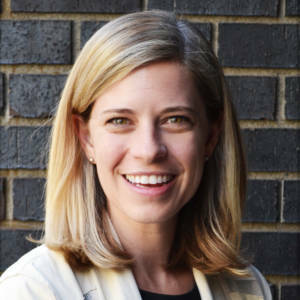 Campbell has a master’s degree in education from American University and a bachelor’s degree in communication studies and Spanish from Vanderbilt University.